Mr. Sarinke has worked on some of the region’s most significant and important projects. 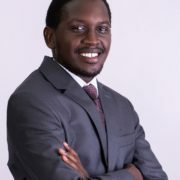 His exposure to energy and PPP based projects enables him to provide clients with legal services which take into account the unique risks that projects face and rewards when successfully completed. He offers advice in various corporate and commercial transactions. His clients appreciate the versatility that he provides when providing legal services specific to their needs. Before entering a new market, proper preparations are essential to ensure that relevant legal issues are identified. Mr Sarinke is able to advice the best way to commence projects and conduct business in East Africa.